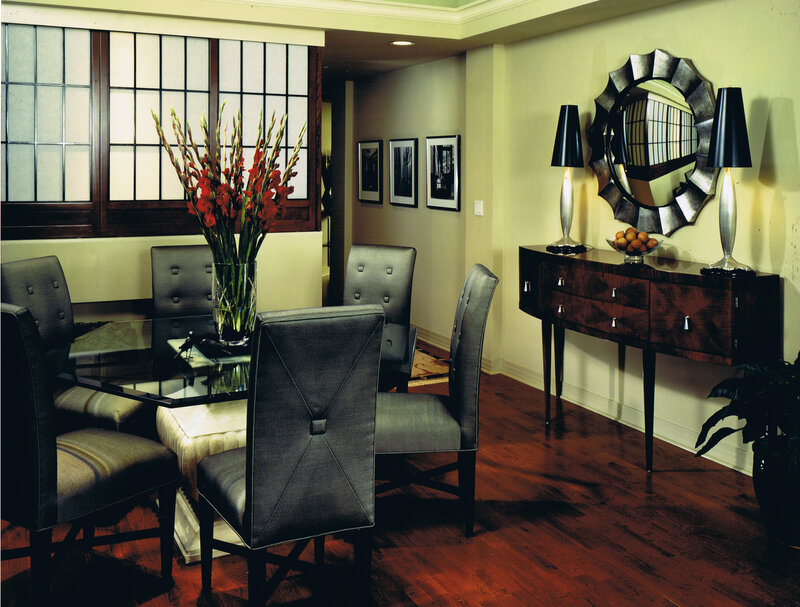 In this downtown San Diego interior design project, the dining room showcases six silk chairs surrounding a glass table on a classically influenced cast stone base. 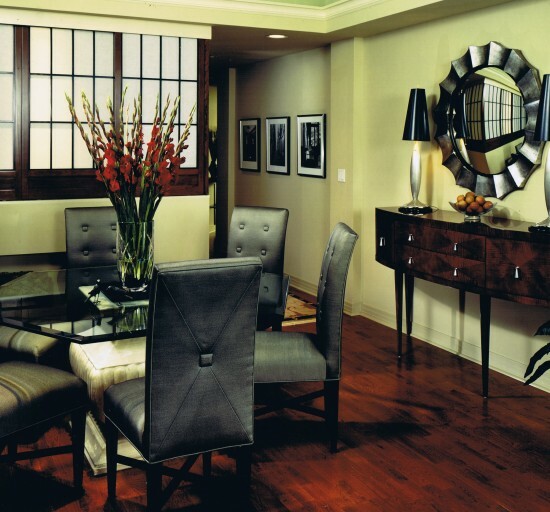 Custom-made Shoji screens open and close to alternately access and close off the kitchen. "This award-winning interior blends Asian accents, rich woods, and shimmering fabrics creating a fusion of sophistication and understatement."